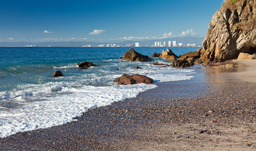 You've found the smartest way to book Puerto Vallarta vacations. 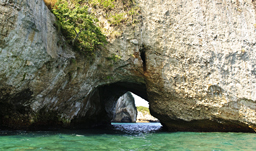 Click a price below to see our unique vacation grid. It's very fast and has a calendar format for easy comparison. 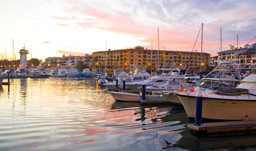 Our agents have been to most resorts - call us and we'll help you decide which hotel is right for you. 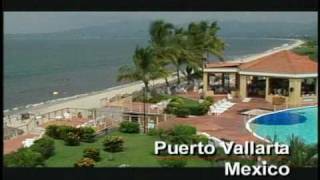 Puerto Vallarta is an old colonial city in Mexico, which has grown over the years into a vibrant destination for all-inclusive vacation packages. 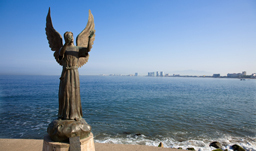 This former fishing town located on the Pacific Ocean is south of the Vallarta Nayarit area, a newer resort development. 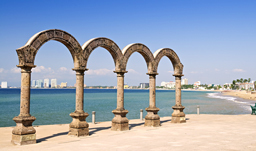 Discover interesting landmarks along the cobblestone streets like the Parish Church of Our Lady of Guadalupe and The Malecon- a paved walkway along the shore. The surrounding mountains and rain forest are a beautiful setting. 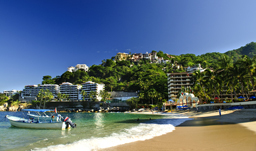 Puerto Vallarta vacations appeal to families, couples, singles, and the gay community. It’s also a great option for those seeking a lively nightlife scene, as the downtown area becomes active after dark with bars and discos. 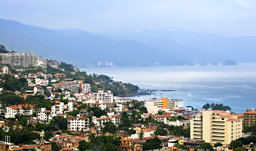 In Puerto Vallarta, you’ll find plenty of restaurants to tempt your palate, fiestas to experience Mexican flair, local shops to purchase souvenirs, and boardwalks to admire a romantic sunset. 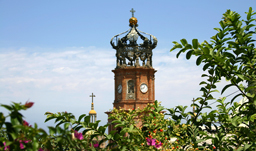 Visit Puerto Vallarta for golf holidays, water sports, destination weddings, or to experience true colonial Mexico. But the best part of all are the beaches. With its swimmable waters, wide expanse, and fine sand quality, guests can soak up the sun in paradise during their stay. Getting Around: Flights are widely available across most of Canada. 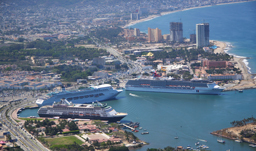 A rental car is useful to explore the surrounding areas, however high volumes of traffic are common. Visitors can take a bus or cab to the downtown area. 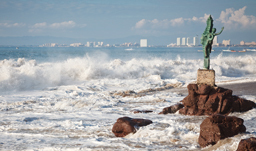 Where to Stay: You’ll have many resort options when choosing a Puerto Vallarta vacation. 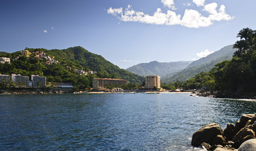 Whether you’d like an adult-only hotel like Golden Crown Paradise or family-friendly hotel like Barcelo Puerto Vallarta, there is no shortage of deluxe properties. 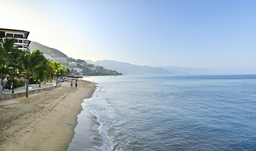 Weather: Puerto Vallarta features warm weather year round. From November to January, you can expect temperatures ranging from 22C to 25C. 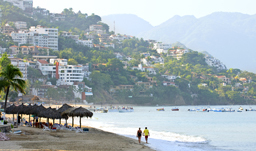 The summer months average a high temperature of 32 C.
Experience fun in the sun, exciting activities, and beautiful scenery on a Puerto Vallarta vacation. 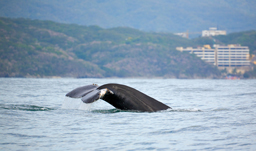 Call 1-800-665-4981 to find out all you need to know about your upcoming vacation!